NEW STRETCH GOAL: $14,000 - you can help fund five more students to present their work! 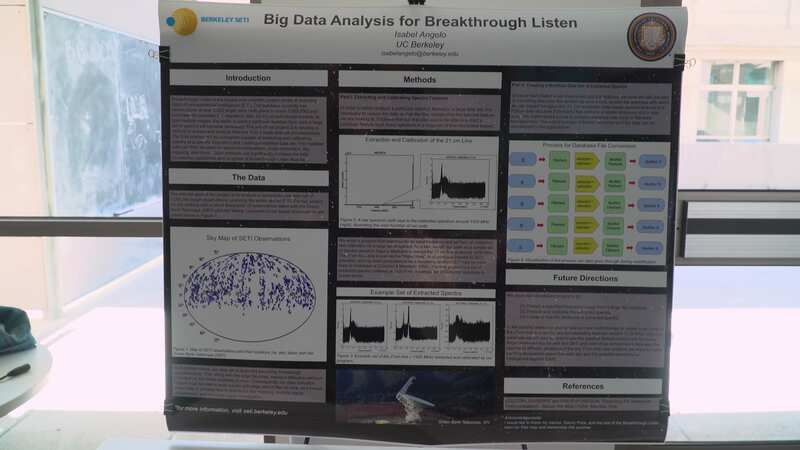 UC Berkeley is a world leader in SETI, the Search for Extraterrestrial Intelligence. Berkeley SETI Research Center (BSRC), based in the UC Berkeley Astronomy Department, is the home of humanity's biggest search for cosmic company. We're the folks behind SETI@home, one of the largest distributed computing projects, processing data from Earth's biggest radio telescopes in search of signals from intelligent civilizations around other stars. BSRC also has a team of scientists and engineers working on the Breakthrough Listen initiative, a major expansion of our search capabilities in terms of time on the sky, the capabilities of our instruments, and the analysis techniques we're developing. We're trying to answer the question, "Are we alone in the Universe?" and we believe that our research offers the best chance we have at the present time to answer this question. Thanks to the generosity of donors, including participants in last year's crowdfunding campaign, we have been able to support some incredible interns working with our scientists and engineers. 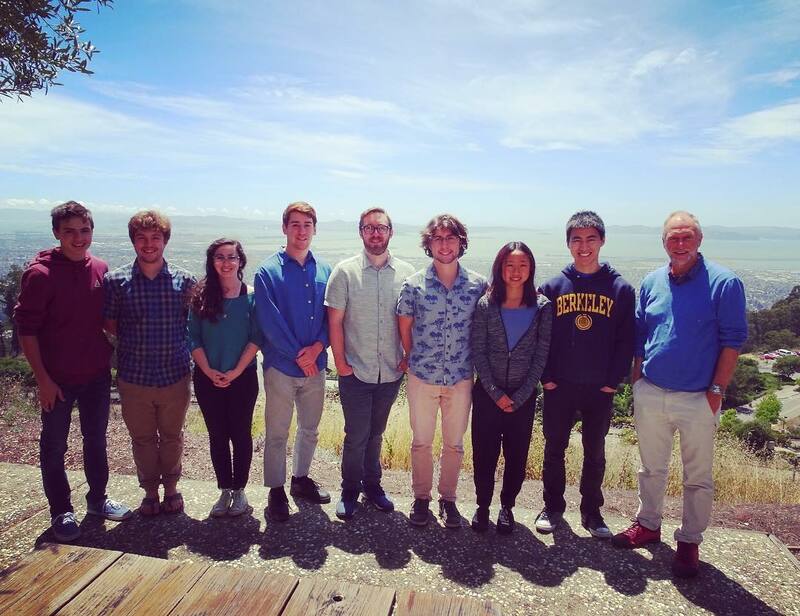 The seven students who worked with us this summer included students both from UC Berkeley and from universities as far away as the East Coast, a local community college student, and even a high schooler. We were blown away by their enthusiasm, their abilities, and their potential as future leaders in the field of SETI research. 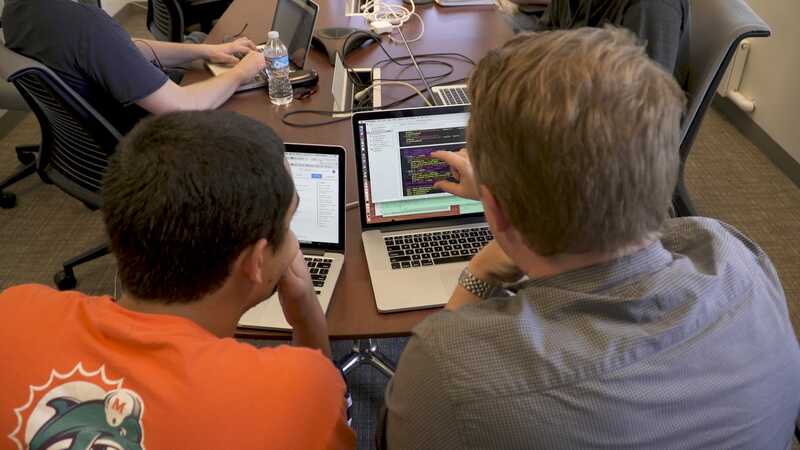 We provide our students with intensive training in SETI, radio astronomy, modern programming techniques, data analytics and visualization, machine learning, communication skills, and much more. Our students love working with us, and their enthusiasm for the project is infectious. This summer they presented their work to a number of visitors (including internationally-renowned scientists) to our lab, and in a scientific poster session to the students, researchers, and faculty of the Astronomy Department. It's amazing for students to realize that they have become experts in their areas of research, and to see genuine interest in their projects from senior people in the field. And it's a huge boost for their careers when they get the chance to network with people who may be their graduate advisors or employers in future. Our summer interns had such a great experience that they all applied to continue working with us during the academic year, and we're delighted to have the opportunity to continue to have them as part of our team.
" For me, the best thing about the internship was the opportunity to meet so many new people. It wasn't just meeting people like the leaders in the SETI field, but working with such a diverse group of interns. I learned an incredible amount." 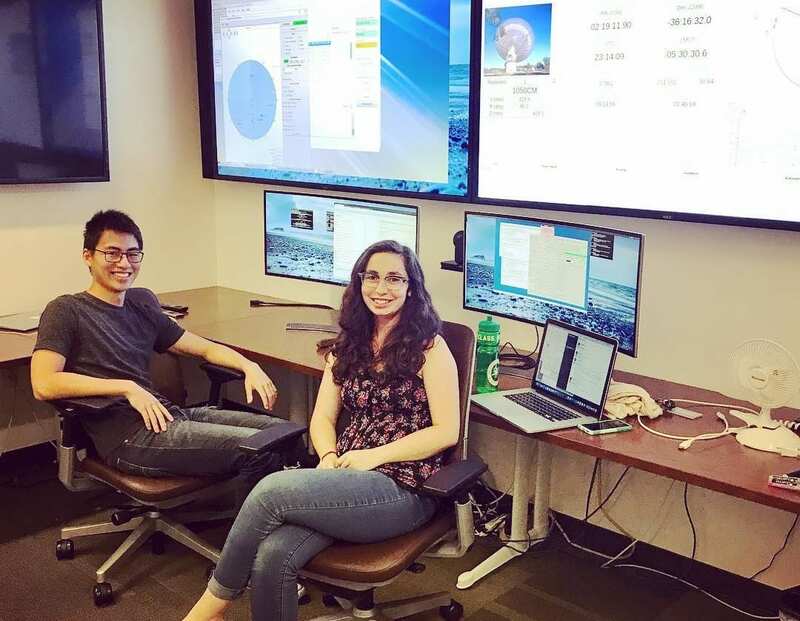 Our interns are writing software to search for signals of interest in our data, planning and carrying out observations on the world's largest telescopes, getting hands-on with digital hardware, building visualization software for other researchers and the public to explore our data and our observations, identifying sources of interference in our data, tracking satellites that impact our observations, and delving into modern data analytics techniques like machine learning, among many other cutting-edge projects. The interns are also all proud to be involved in the attempt to answer humanity's most profound question. "This has been like the most fun thing ever. Berkeley SETI is a privilege to work at. I think that the fact that you can do data analysis on huge datasets with the implications of finding aliens is the probably the coolest thing I'll ever do. I'd recommend it to anyone." Although the interns have had the opportunity to meet some inspirational leaders in SETI research during their time with us, we want to give them the chance to get wider exposure. Scientific conferences such as those of the American Astronomical Society (the nation's premier professional astronomy meeting, attracting thousands of scientists from across the country - and indeed the globe - to share their research), the National Radio Science Meeting, and topical meetings including SETI-specific conferences, machine learning meetings, and so on, provide the opportunity for students to network with potential employers, gain recognition for their work, and to soak up the excitement of the breadth and depth of research that's taking place in academia and industry today. Berkeley SETI Research Center Director Dr. Andrew Siemion credits the opportunity to attend conferences as an undergraduate as one of the formative experiences in encouraging him to pursue a career in SETI research. With your help, we can give the young people working with us the same chance to expand their horizons and to share their love of (and progress in) SETI science. 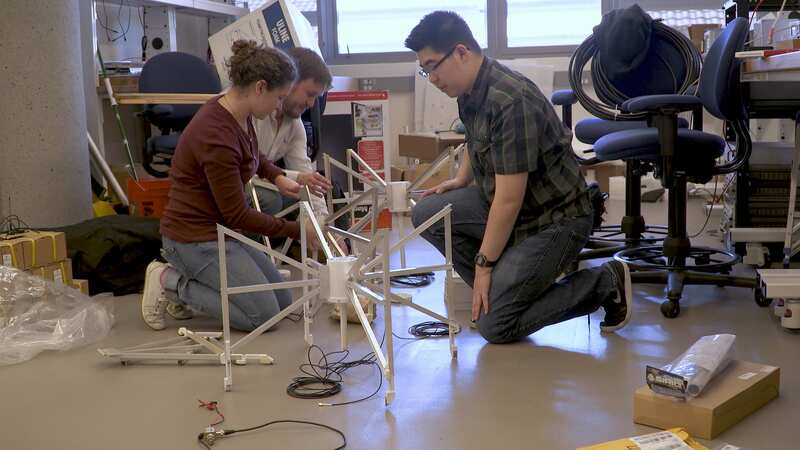 We're hoping to raise $7,000, which would enable us to send 5 students to present their work as a research poster at a meeting like the American Astronomical Society meeting in Washington, DC in January. We're estimating $600 for airfare, $200 for meeting registration, and $600 for room (shared) and board, per student. We'd love to raise more than this, though, which would enable us to offer all of the students who worked with us this summer to attend a conference, as well as potentially putting money aside for students working with us next summer to have the opportunity to present their work in such a setting too. Our best chance at SETI success is attracting the best people into the field. You can help the leaders of tomorrow on the path to a bright future! Do you want to have your deepest questions about SETI answered? Would you like to attend our December holiday party and meet the BSRC team? Or get a shout-out in our popular YouTube videos or on our social media channels? We're pleased to be able to share these awesome perks with our donors, but most of all we are extremely grateful to our donors for supporting our student interns and enabling them to share their research with the world! $30 Facebook Shout Out [unlimited] We'll give you a personal shout-out and thanks on the Berkeley SETI Facebook page. $75 Thank You Card [unlimited] We'll send you a thank-you card signed by our undergraduate interns. $175 Ask a Question (Written) [unlimited] Send us a question about SETI and get a personal response via email by a member of our team. $250 Party with the BSRC Team [50 available] You and a guest will receive an invitation to our holiday party, to be held on the evening of December 8, 2017, in the Breakthrough Listen Lab on the UC Berkeley campus. $500 Ask a Question (Video) [10 available] Our team members will answer your question about SETI in a video that we'll post to YouTube. $800 Sponsor a Video [5 available] We'll thank you as a supporter in the credits of one of our YouTube profile videos, and you'll get a shoutout from the scientist we interview. $1400 Sponsor a Student [5 available] Your generous donation will enable us to fully fund one student to attend a scientific meeting to present their research. You'll be thanked in the acknowledgements of the student's research poster, and we'll also be glad to send a signed copy of the poster to you on request. We'll give you a personal shout-out and thanks on the Berkeley SETI Facebook page. We'll send you a thank-you card signed by our undergraduate interns. Send us a question about SETI and get a personal response via email by a member of our team. You and a guest will receive an invitation to our holiday party, to be held on the evening of December 8, 2017, in the Breakthrough Listen Lab on the UC Berkeley campus. Our team members will answer your question about SETI in a video that we'll post to YouTube. We'll thank you as a supporter in the credits of one of our YouTube profile videos, and you'll get a shoutout from the scientist we interview. Your generous donation will enable us to fully fund one student to attend a scientific meeting to present their research. You'll be thanked in the acknowledgements of the student's research poster, and we'll also be glad to send a signed copy of the poster to you on request.